Welcome to The Hungarian Vizsla Club, the oldest UK organisation that is dedicated to the Hungarian Vizsla, Established in 1968, we are recognised by The Kennel Club as one of the two official breed sites. You can completely rely upon the information provided here: it is unbiased and with no motive other than the well-being of the Hungarian Vizsla. Puppies that may be available which have been bred to the Club’s Code of Best Practice. 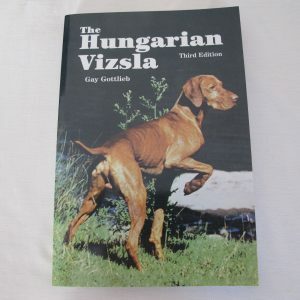 PLEASE BE VERY CAUTIOUS OF WEBSITES OTHER THAN THE TWO OFFICIAL BREED SITES -THIS ONE AND HUNGARIAN VIZSLA SOCIETY. Many websites are very attractive, but some could actually be more interested in the money that results from selling the large numbers of puppies being bred by some website owners. Until fairly recently, respected Vizsla breeders never advertised their puppies – they were accessed via the HV Club and HV Society puppy lines or by word of mouth.